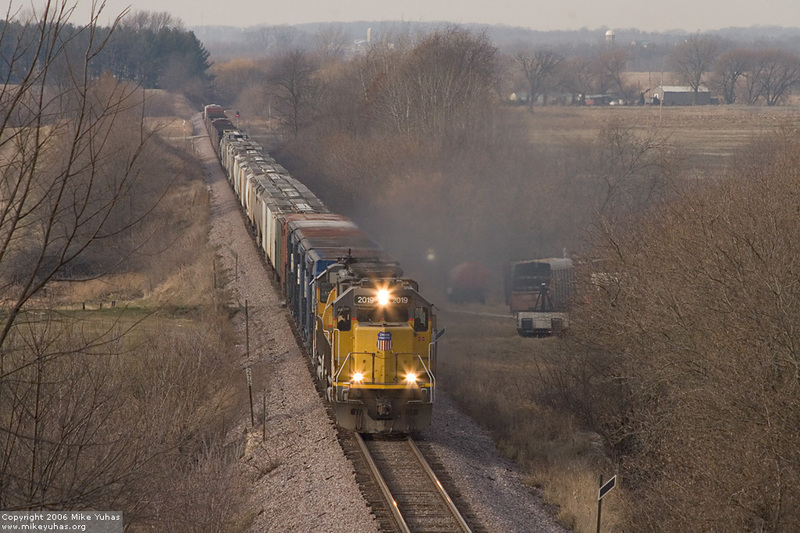 UP's Adams wayfreight heads east on the Adams Subdivision toward the eventual destination of Butler Yard in Milwaukee. A short while ago, the train finished switching chores at South Beaver Dam. A pair of GP60s lead 73 miscellaneous cars.